Jo Chandler is an award-winning Australian journalist, author, editor, and educator. In 2017 she took up a position as a professional expert and lecturer at the University of Melbourne’s Centre for Advancing Journalism, and continues as an Honorary Fellow at Deakin University’s Contemporary Histories Research Group. She also continues to produce a substantial body of longform freelance journalism. In her long reporting career she has filed news and features from assignments across Africa, Papua New Guinea, rural and remote Australia, Antarctica and Afghanistan, earning distinctions as an essayist, profile writer and narrative journalist. Particular areas of focus over the past decade have been climate science, environment, health, human rights, aid and development. She was the winner of the Walkley Foundation’s 2017 Freelance Journalist of the Year Award. She is also a previous winner of a Walkley Award, Australia’s most coveted journalism prize (Commentary, Analysis, Opinion & Critique 2009). She is also the winner of two Melbourne Press Club Quill Awards for Best Feature (2017 and 2014). Chandler is continuing to pursue selective freelance projects in addition to her role at the University of Melbourne, where she is also undertaking research on changing journalism practice and education, and on humanitarian journalism. She is an author and editor, her most recent book project was the warmly reviewed Best Australian Science Writing 2016 for New South press. In the past year her work has featured in The New York Times, The Lancet, The Guardian, The Atlantic and Undark, Australian Foreign Affairs journal, The Monthly (Australia’s premier news and features magazine), Griffith Review, Cosmos magazine, The Australian Women’s Weekly, and ABC Radio National’s Science Friction. After a long career in print, in recent years she has moved into radio storytelling, producing investigative programs for the acclaimed ABC Radio National’s Background Briefing program, the first of which – “Ebola With Wings, reporting on the drug-resistant tuberculosis crisis in Papua New Guinea – was a finalist in the prestigious Australian Museum Eureka Prizes in the science journalism category, and also in the United Nations Association of Australia Media Peace awards. She also produced a feature documentary for ABC Radio National’s Earshot program, Do Re Mi in PNG, on the Von Trapp family’s adventures in Papua New Guinea. She’s a sought-after speaker and educator. In late 2015 Jo was invited as a guest lecturer to Columbia University to discuss her work in PNG with students in the journalism and anthropology programs. Chandler worked for much of her career at The Age newspaper in Melbourne and was a regular contributor to The Sydney Morning Herald and Good Weekend magazine, culminating in roles as a Fairfax senior writer and roving national and international correspondent. In 2009 she earned her first Walkley Award for commentary and analysis for articles generated by trips to the Democratic Republic of Congo and Mozambique. Other awards include two Melbourne Press Club Quills for Best Feature (2014 & 2017), runner-up for the 2017 UNSW Bragg Prize for Science Journalism (which she has previously won twice)’ the George Munster Prize for Independent Journalism (2013), the University of New South Wales Bragg Prize for Science Journalism (twice, 2014 & 2012), the Australian Council for International Development (ACFID) Media Prize 2013, and the United Nations Association of Australia Media Peace Award (2010). In 2002 she was awarded the prestigious Australian Museum’s Eureka Prize for Health and Medical Research Journalism for her role coordinating, editing and contributing reporting to a special series for The Age on the human genome. Jo Chandler began her career on country and suburban newspapers more than 25 years ago. Her journalism has evolved through a variety of writing, production and editing roles, and she has built on her skills and experience through a range of professional fellowships. She studied in the US at the University of Missouri-Columbia School of Journalism as a Rotary Foundation Scholar (1988/89) and in 2006 travelled to newspapers and media organisations across the UK on a Harry Brittain fellowship for future senior editors with the Commonwealth Press Union and the British Foreign Office. She has received two media fellowships with the Australian Antarctic Division, reporting from Casey station and field research sites in 2007 and in 2009/10. On embarking on a freelance career in late 2012, Chandler was invited to join the Alfred Deakin Research Institute (now the Contemporary Histories Research Group) as an Honorary Fellow, contributing to the Institute’s contemporary histories program and Pacific development forums. She has published reports in The Atlantic, The New York Times, The Guardian, The Monthly, The Lancet, Yale Environment 360, New Scientist, The Weekend Australian Magazine, Griffith Review, The Sydney Morning Herald, The Age, Time.com, BBC Online, Cosmos, Crikey, The Hoopla, The Daily Beast, Courrier International, Das Magazin (Netherlands) and Internationalze (Italy). Her work has also been featured in The Best Australian Science Writing 2012, 2013, 2014, 2016 (which she edited), 2017 and 2018 editions, and The Best Australian Essays 2016 edition. 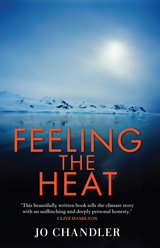 In these pages Chandler visits the far frontiers of the climate story. She sets out on a quest that takes her across the Antarctic ice, under the seas and through the tropical rainforests of far north Queensland. Her mission is to take readers into wild realities in the company of scientists trying to decode climate information that will be critical to the decisions we make for the future of the planet. It’s an exploration of science in its most glorious, raw form. Chandler is also the co-author the controversial and insightful memoir of Australia’s first female Chief Commissioner of Police, Christine Nixon. 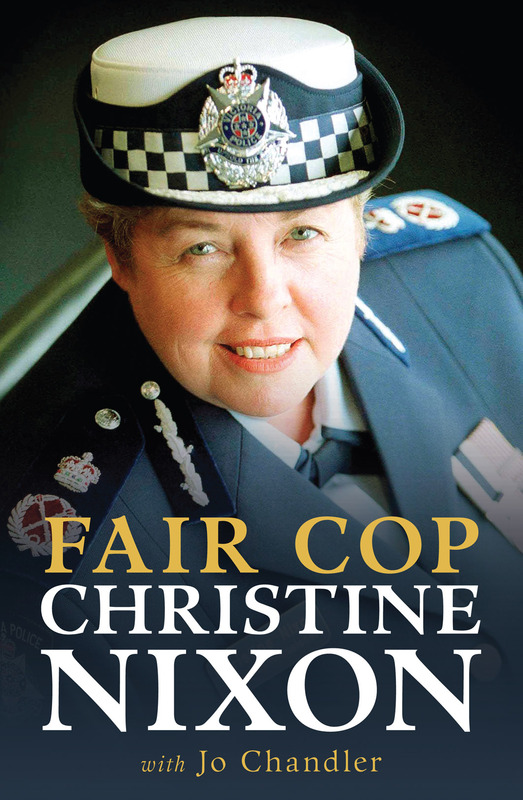 “Fair Cop is superb, the best memoir about policing from a chief’s perspective that I have read. Not only does it touch on many of the great issues of contemporary policing – politics inside and outside the organization, the media’s role … women in policing, “duty of care”, strategic philosophy – but it never loses sight of the person at the centre of the story.” – Professor David Bayley, Distinguished Professor, School of Criminal Justice, State University of New York at Albany.